Panex Pan Flute did 3,300 Performances in The Lion King Musical. 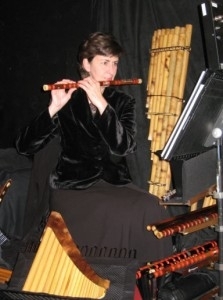 flutist Kay Ragsdale who plays 15 different flutes in The Lion King show. One of the flutes, mentioned in the article, is Panex Premium 23 G flute. 4-years guarantee. Flutes are made top quality bamboo wood and easy tuning feature.